In 1959 Pauline Rose and her husband made aliyah to Israel. In 64’, against all odds and undaunted by warnings and fears, they bought, fully renovated and then moved into a house and built a garden on Mount Zion, right on the then Jordanian-Israel border. Those who know that stirring in the depth of your very being when it comes to Israel, and particularly to Jerusalem, will find that Pauline has a way with words that transports you into the story and walks you through as if in a present reality. Her words echo in your mind long after you reach the last page. It is fitting that this should be our first highlighted book as the heart and hope of HIS-ISRAEL is that it too will be like the tent of Abraham, a place where the Spirit of the Lord abides, a safe place of welcome and fellowship. 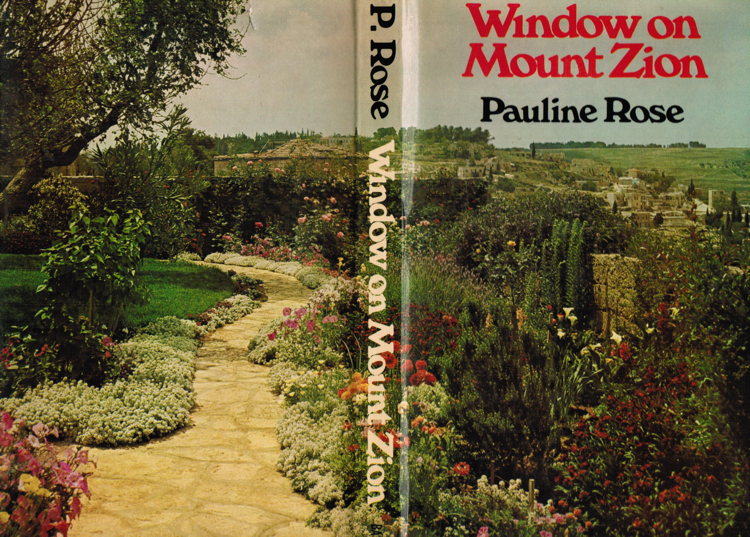 Join Pauline and experience the garden on Mount Zion as it flourishes out of barren and rocky soil. See, as it were, first hand the tension of the Six Day War, feel the overwhelming emotions as you touch the liberated Western Wall for the first time and walk the streets of the Old City at the heart of Jerusalem. When the Lord shall build up Zion, He shall appear in all His glory. 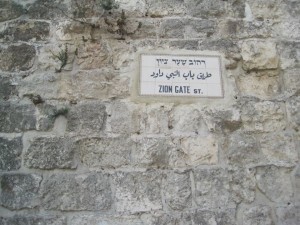 May your feet stand in the gates of Jerusalem and at the window on Mount Zion. 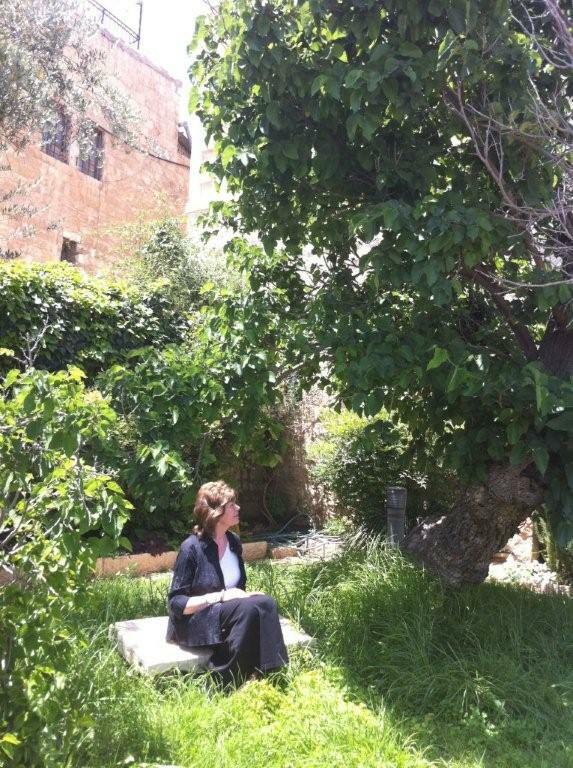 Keren sitting on Pauline’s prayer bench in the garden, which needs some tending! This is indeed a fascinating book. I just finished reading Window on Mount Zionsville and loved it . Where can you buy her books?